“Dreams Take Flight” has won the Past Presidents’ trophy, honoring the most outstanding innovation in the use of floral and non floral materials. 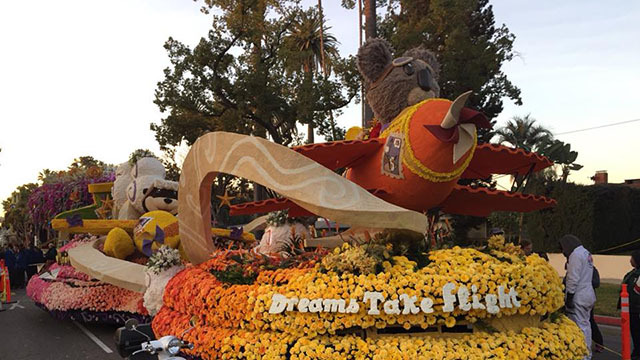 “Dreams Take Flight,” the Cal Poly Universities’ 2018 Rose Float, wins the Past President Award in the 129th Rose Parade on Jan. 1. 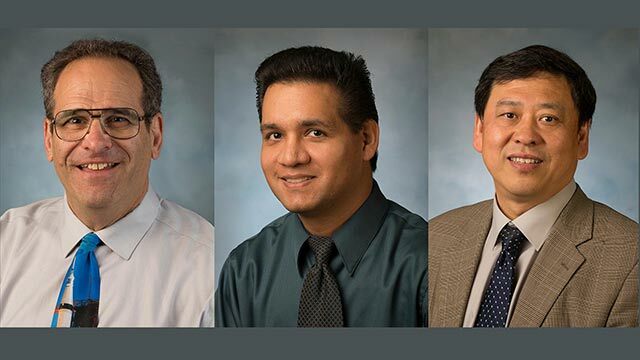 The Past President Trophy honors the most outstanding innovation in the use of floral and non-floral materials. 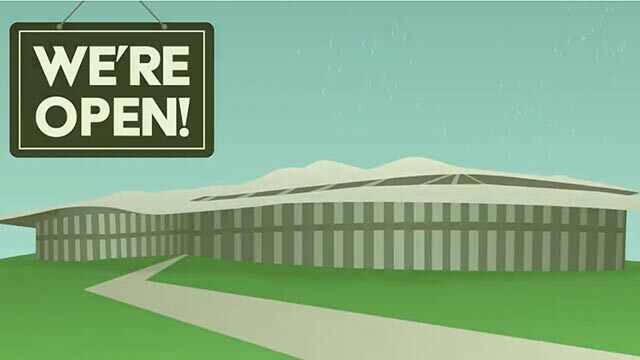 The Cal Poly Universities’ float is the only entry that is designed and built entirely by students. 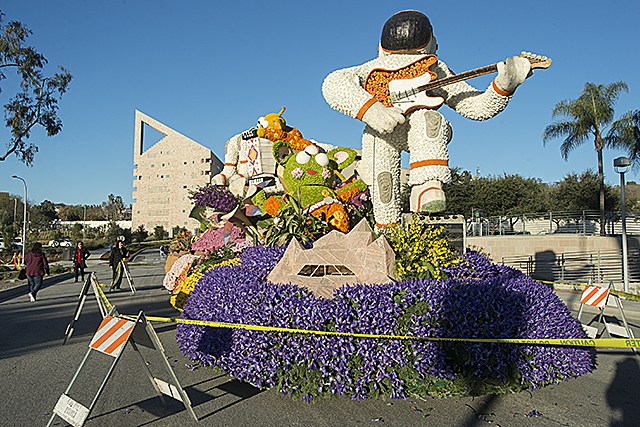 Covered in more than 42,000 fresh flowers, the 54-foot long float features three young animals flying high above twinkling stars and puffy clouds at sunrise. Paula the koala, covered in buffalo grass, led the way in her bright orange biplane. Ollie the otter skimmed the clouds in his yellow seaplane, and Rusty the red panda soared 20 feet above the crowd emitting a contrail from his green plane. Ollie’s fur was created from a layer of sheet moss topped with ground coffee. Rusty’s fur is gorilla hair or shredded redwood bark. 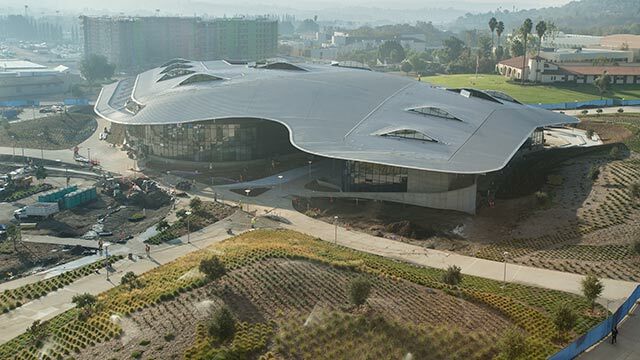 Covering the pod are approximately 10,000 roses, 10,000 gerbera daisies and 1,200 head of kale, creating a gradient from yellow in the front to pink and then purple in the back. Other flowers include: 12,000 chrysanthemums, 10,500 button mums, 1,500 cushion mums and 1,000 irises. The floral arrangements consist of protea, leucadendron, orchids, birds of paradise, oriental kale, lemons and curly willow. Covering the creamy ribbons holding the planes aloft is 300 pounds of crushed banana chips with coconut detail. This year’s float was certified as 97 percent California grown. Underneath all of the flowers is a five-person student crew piloting the float. 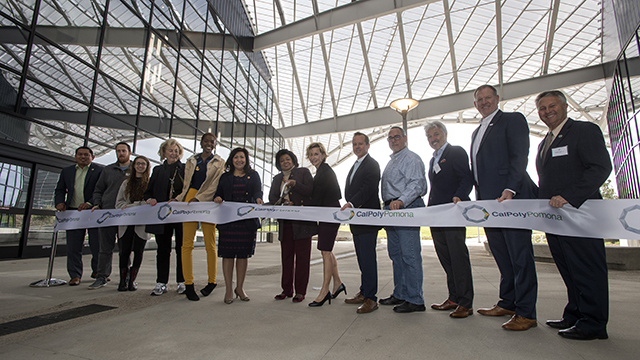 “Dreams Take Flight” is the 70th Rose Parade entry from the joint student teams from Cal Poly Pomona and Cal Poly San Luis Obispo, whose successful partnership has now won 58 awards. To pay homage to past Rose Float student volunteers, colorful stamps of past floats adorn the planes. 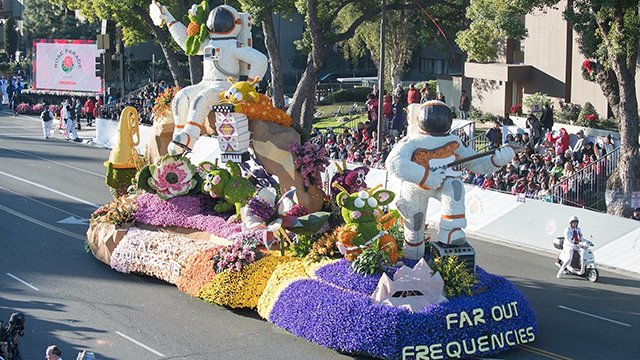 For more information about Cal Poly Universities’ Rose Float program, visit the Rose Float website. Watch: “Dreams Take Flight” travels down Colorado Blvd.